Nucifraga caryocatactes Linnaeus 1758, Sweden. 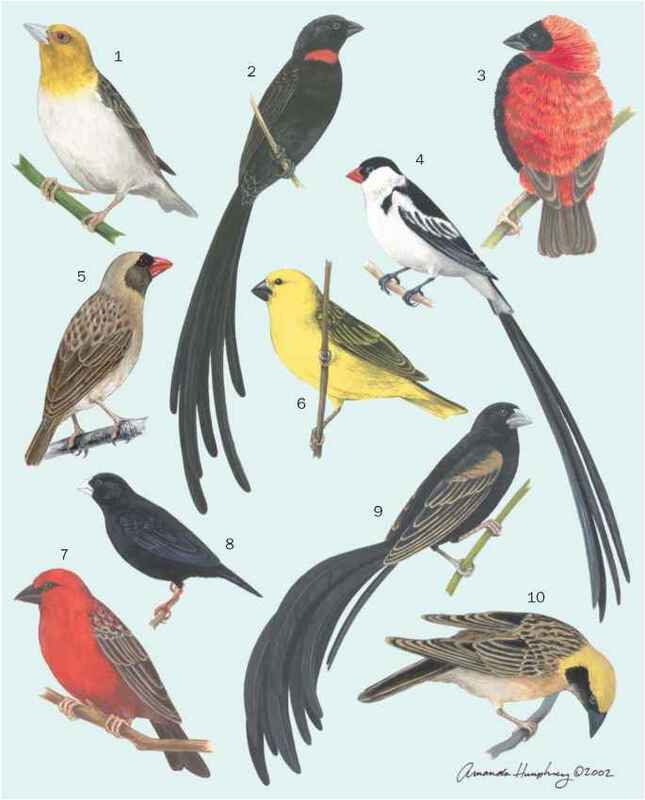 Eight subspecies. English: Nutcracker, Eurasian nutcracker, spotted nutcracker; French: Cassenoix moucheté; German: Tannenhäher; Spanish: Cascanueces Moteado. physical characteristics 12.48-13.26 in (32-34 cm); 4.34-7 oz (124-200 g). Body plumage is dark brown profusely spotted with white; lower belly and undertail-coverts are white. Wings are glossy black with white-tipped coverts. Tail is also glossy black with white feather tips, increasing in extent toward the outermost. Bill, legs, and feet are black. Coniferous forests of Europe and Asia. North American equivalent is Clark's nutcracker. Coniferous forests. Widely dispersed during irruptions following failure of seed harvest. Wary, but perches on conspicuous treetops. Holds year-round territory, keeping several stores of nuts and seeds. Heavily reliant on conifer seeds and hazel nuts, which are stored as winter supply. Insects and berries eaten seasonally. Solitary nester. Generally lays three to four eggs March through May in stick nest woven together with plant stems. Cup lined with moss and grass. Incubation 16-18 days; fledging about 23 days. Young remain with parents for rest of summer.